Can Syria Attract $55 Billion in Foreign Investment in 5 years? Abdullah Dardari, Syria’s Deputy Prime Minister for Economic Affairs, said while visiting France, that Syria expected to attract $55 Billion in Investment Over 5 Years. This number is more reasonable than the 77 billion that the Oxford Business Group said the Assad government expected to attract over five years in July. “Syria’s infrastructural needs are estimated to cost 50 billion dollars over the next 10 years. In addition, Syria needs to build some 200,000 residential units within five years; it must construct some 40,000 additional hotel rooms by 2015 in order to accommodate the expected 8 million tourists by that year. The most recent development in the country’s banking sector came at the end of July when President Bashar al-Assad issued Decree No. 56, allowing investment banks to enter the market. The decree comes as Syria looks to raise SYP 2,350bn (USD 50bn) in infrastructure investments over the next five years. “Investment banks will stand as… a way to secure sources of funding needed to finance huge projects,” Adib Mayaleh, governor of the Central Bank of Syria (CBS), told Syria Today. He added that he had already held discussions with a number of European firms interested in entering the market. How reasonable is it for Syria to expect to raise $50 bn in five years or $10 bn a year? Let’s look at Syria’s Foreign Direct Investment history. Dardari told reporters today in Paris that investment in Syria this year will reach $2.5 billion. He said the country’s economy will grow at about 5.8 percent this year and an average of 5.5 percent to 6 percent over the next five years. If Syria does attract 2.5 bn foreign investment this year, it will be a big jump and put Syria in league with Morocco and Tunisia – See this graph of DRI for Lebanon, Syria, Morocco, Tunisia, Egypt and Algeria, here. According to the Syrian Investment Agency, about US$1.19bn were invested by foreigners in the country in 2008. Despite the global economic slowdown, the volume of FDI increased by 32.2% last year (up from US$898m in 2007 and from US$613m in 2006). 2009 FDI Syria – Syria attracted USD 1.5 billion in foreign direct investments in 2009, according to a report by the Arab Investment and Export Credit Guarantee Corporation. The neighbors attracted the following amount of FDI last year. Even Dardari knows that to go from 2 billion to over 10 billion by next year will be difficult if not impossible. “We know we need a big leap forward to attract this investment,” Dardari said. “We know that there are many things we have to do in terms of financial markets and protectionism.” Legislation will be introduced or amended on public procurement, independent electrical generation, investment banking, leasing, mortgage financing, central bank independence and local credit guarantees, Dardari said. Syria is also considering starting an export guarantee program. “Even with all these changes, we have a long way to go,” Dardari said. “A competitive economy is a mindset, a new way of seeing things. This is the real challenge. But the political determination is unquestionable. There is no going back.” ….. The newly released “corruption perception index” ranks Syria 126 out of 180 (Lebanon and Libya at 130 with Yemen at, 154 Iran at 168 and Iraq and Sudan at 176). Somalia was the dead last. Impressive was the ranking of Qatar at 22 (ahead of France!). Another noteworthy country was Jordan at 49, beating Turkey (at 61) and Italy (at 63). with Turkey and an interim agreement with Iran. Capital Intelligence and the International Monetary Fund have said the government should focus on implementing changes that would quicken its transition to a market-based economy. The IMF forecasts that Syria’s economic growth will rise to 5 percent in 2010 from 4 percent last year. The Syrian government has announced a 10% rise in petrol prices following a spike in consumption and rising cost of subsidising other fuels, Reuters has reported. The government has steadily raised petrol prices in the last several years but this has not cut consumption as decade-long bans on importing cars were lifted and car buying spiked. Unlike gas oil and fuel oil, petrol is not subsidised in Syria, which produces 380,000 barrels per day of crude oil but does not have enough refining capacity to meet domestic needs. Dardari said in an August 2008 interview that Syria plans to modernize the fleet of its state-run carrier, Syrian Arab Airlines. The airline had sought to buy single-aisle Airbus A320s as well as twin-aisle A330, A340 and A350 models. It had planned to lease four planes and then take delivery of the first 14 Airbus airliners from 2010 to 2018 and a further 36 by 2028. Idaf points out that Syrian identity in the Golan is growing and points us to this article: The changing generations of Syrians in Israel by Benjamin Joffe-Walt. A Syrian Kurd has been sentenced to three years in jail in Spain for throwing a shoe at Turkish Prime Minister Recep Tayyip Erdogan. Next door in Italy, police seized a large amount of explosives that were headed for Syria. Syrians agree to disagree on pros and cons of traditional marriage in modern society. It was a typical beginning to a traditional marriage: a beautiful girl was spotted at a swimming pool by the mother of an eligible young man. After all, according to tradition, it is the groom’s mother who finds an appropriate wife for her son, visiting the potential bride’s family house to look for signs of her class, cleanliness, and cooking abilities, and accompanying the girl to a Turkish bath to check her beauty and fitness. So when the girl, a student at Damascus University, climbed out of the pool, a hopeful mother approached her and asked if she was looking for a husband. Then the story veered from its time-honored course: the girl rejected the whole scenario and walked away upset. “It’s ridiculous,” she said, recounting the event to her friends, also university students, who laugh and agree. From a section of society that is well-educated and well-traveled, their ideas about how they want to marry differ markedly both from those of their parents and of many of their contemporaries. And their growing sense of independence, or at least questioning, is re-shaping marriage practices in Syria. Real friendships remain between some Syrians, emigrated Jewish community that left Syria. Faisal and Musa are drinking tea, laughing, and reminiscing about old times in Musa’s antique shop in Old Damascus. Musa has just returned from America, where he now lives, and one of the first things he did after catching up with his relatives was to invite Faisal to his family’s house for dinner. That was last night, and the two of them are still giggling about their memories. Faisal is Palestinian, and Musa Jewish. On the surface, this seems a striking incompatibility in the region, an effect of the Arab-Israeli conflict. This has never stopped these two Syrians from having a very close friendship. “Every day we have a story,” said Musa, “ you know, we used to go to the Sheraton Hotel to drink every night,” he continued, as Faisal, laughed on a drag of his cigarette, choking slightly. Although most of Syria’s Jewish community has emigrated and the estimated number of Jews still living in Syria is between 25 and 200, they were not forced to leave after the creation of the State of Israel in 1948. This led to the development of real friendships that both sides, Syrian and the emigrated Jewish community, recount with fondness and sorrow…. Negotiations between Syria and Israel have reportedly come close to a final agreement, but are currently stalled despite international encouragement, since the new Israeli government took power. However, there have been reports over the last few years that some from Syria’s US-based Jewish community would like to play a role one day in bringing the two nations together. “I’m looking forward to peace and when everyone comes together and lives in peace,” lamented Musa. “My mother stills says she will return home,” added Faisal. BAGHDAD (AFP) – Iraqi Prime Minister Nuri al-Maliki has the backing of Washington and US arch-foe Iran to keep his job, six months after he narrowly lost an election to ex-premier Iyad Allawi, politicians said Tuesday. The United States has consistently denied having any favoured candidate for the premiership but amid growing impatience for a new government in Baghdad it now sees Maliki as the conflict-wracked country’s only viable leader. A grave fear that Allawi will “re-Baathify” Iraq, bringing former allies of Saddam Hussein back to power, has also led its Shiite parties, with close ties to Iran, to accept Maliki, despite scepticism about his character and ability. Maliki’s State of Law Alliance, a Shiite grouping, gained two fewer seats in the election than Iraqiya, a broadly secular coalition with strong Sunni backing led by Allawi, a Shiite. But neither man has managed to gain a working parliamentary majority despite months of coalition negotiations, leaving the nation’s politics in limbo amid growing public frustration at the lack of progress. There have been 56 national elections or referendums worldwide, according to IFES (the International Foundation for Electoral Systems), since Iraqis voted in the parliamentary poll on March 7. The impasse has led US officials, anxious to avoid further delays that could potentially cause Iraq’s fledgling democracy to unravel, to seek a Maliki-led government that gives a prominent role to Allawi. A senior State of Law official said Maliki received assurances during US Vice President Joe Biden’s recent visit that major neighbouring Arab countries, except Saudi Arabia, had decided to stop backing Allawi’s premiership hopes. “Maliki was quoting Biden as saying, ‘Iraqiya has many problems and complexities… I told Turkey, Jordan, Egypt, Qatar and United Arab Emirates to end their support for Allawi,'” the official said Biden told Maliki. “‘They were all convinced except Saudi Arabia,'” he quoted the vice president as saying. 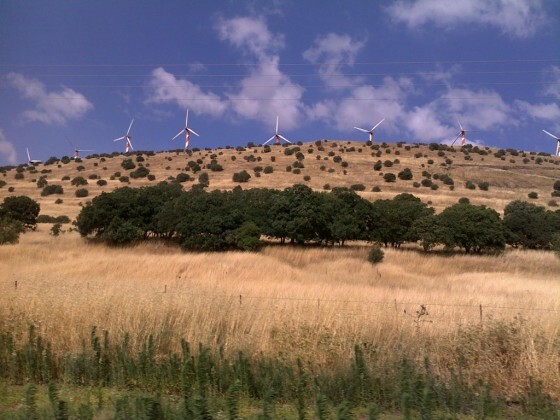 Sept. 24 (Bloomberg) — Israel’s Prime Minister Benjamin Netanyahu gave “national infrastructure project” status to a $400 million wind farm on Israel’s Golan Heights, clearing it for fast-track approval by regulators. The title of your post is “can Syria attract $55 billion in foreign Investment in 5 years?” The answer in my opinion is a resounding yes. Capital is always in search of return. The job for Syrian officials, therefore, is to convince global and regional investors that choosing to invest in the country will yield an acceptable adjusted for risk return. I think that the Syrian government must learn from their Turkish counterparts in the way that country’s coast was developed. Land was given largely for free to international hotel chains to develop. Tax breaks were offered in addition to entice investments. This model was also followed in Dubai. The Syrian ministry in Syria in contrast is yet to understand that they ought to keep very attractive incentives to investors to come. They are yet to put themselves in the shoes of investors and ask themselves if the projects that they propose make sense. Suppose that the ministry decides to give a global hotel chain free land on the Syrian coast and in addition offer it tax breaks for say 5 years and then let us ask ourselves if investments may follow. Syria’s GDP is reportedly at $50 billion (this is like the US having to attract $13 trillion in 5 years). When you try to attract almost that sum in 5 years, you must fire on all cylinders. You must do whatever it takes to convince those investors not to go to Egypt, Jordan or Morocco and instead decide to come to Syria. Investors will oblige on one condition-if they know that they will get a higher return. I believe that as long as the enmity between the US and Syria exists (talking mainly of sanctions) Syria will not be able to attract those amounts of capital. We have already seen how potential deals (even with friendly inclined states as Turkey) come to a halt when it dawns upon the investors that them investing in Syria might jeopardize their relationship with US firms. The above being beside the lack of productivity, the regional political climate and the corruption on all levels of society. Investments will increase, I’m sure, but to that amount that soon? Wouldn’t such deals be giving away Syria’s patrimony for nothing? No, it would be for kickbacks. Wouldn’t Syrians howl with outrage over inside deals? No, a few would whisper, and the powers that be would not give a damn. Syria’s GDP is 50 bl dollars. Is it even possible to attract investments the size of one’s whole economy? or even absorb them? 1- what happened economically from 83 to 89 that almost slashed gdp in half? 2- whats with the 90’s ? there was no growth? 3- what would be the result now if the trend from 73 to 81 was continued? Good question. 1982 saw both Hama and the Israeli invasion of Lebanon, which would have had a major impact on the economy. Both threatened stability. But I am sure that is only a small part of the story. I imagine that a large part is that socialism didn’t perform. do not be so negative about Syria. Syria was socialist since the 60’s, why would socialism stop performing in the 80’s? could it be related to soviet aid? can we add the demise of soviet onion as a factor to the drop in GDP in the 80’s? what do you mean by “inflated growth during the the seventies because of the intervention in Lebanon”? in 1973 the GDP per capita was $459, in 1975 it was $979 almost the double. the intervention in Lebanon started in 75 (correct me if I’m wrong). Your chart is GDP per capita in US Dollars. The dip between 1983 and 1987 is due to the devaluation of the Syrian currency. When the local currency loses it value, so does the translation of GDP in Dollar terms. You make an important observation which I alluded to in my comment above. Attracting $55 billion in 5 years is like the U.S. having to attract $13 trillion in 5 years. Turkey’s current GDP is close to $650 billion. In 2007 and at the peak of their FDI, the country attracted $22 billion. Most noteworthy is that real estate only made up $3 billion of this number with equity investments making up the rest. How did Turkey do it? I believe it was due to the opening up of key markets such as banking, telecommunications, energy and agriculture to competition. Most importantly, it was the privatizations that attracted foreign investors to these sectors. Last but not least, the Turkish parliament passed a law back in 2003 that guarantees equal treatments for all investors, with no distinction made between international and locals. You are correct. The U.S. economic sanctions will make it hard for Syria to achieve this goal. As Mr. President noted, investors have to earn an acceptable after-risk return to come to a country which faces U.S. economic sanctions. This is not about giving easy terms to capitalists. This is about calibrating how attractive your terms must be before investors decide to forgo going to Morocco, Dubai, Turkey or Egypt and instead decide that Syria offers them that better risk-adjusted return. As of today, investors have not poured anywhere near the objective of $10 billion a year. I can only surmise that the terms have not been attractive enough yet. I stick to my long held view that for Syria to succeed at securing such enormous sums, it must privatize. The economic team continues to feel that they do not need to do so and that they can grow the economy and attract $55 billion over 5 years in investments without having to make this politically sensitive decision. I strongly feel that in the long run Syria can only make its economy prosper when they embrace privatizing the inefficient public sector. Barring this, growth will not be at potential and investment goals will not be fulfilled. ,this good point by yougsyria does not adjust for inflation which is 100- 500 time from 1970-till now,if we adjust this for inflation the line will go down. the money that was smuggled outside Syria,by corrupt officials, way exceed 50 billion dollars, if it come back we will easily achieve this goal, a lot of these monies we were told it is in AYDI AMINEH. yes socialism did not help, to start investments in Syria required that someone from the officials has to be a partner, or get paid a lot. Revenue from oil transport from Iraq to syrian coast were lost. Ehsani Would you consider up value the Dollar compare to Lira would be deceiving yourself, in inflation,you have more lira but it worth less. I agree with you. I’m not an economic expert, but isn’t GDP growth (regardless of cause)a good indicator for the performance of the economy? in other words, why did the currency devaluation happened? Your comments and suggestions are factual and convincing. Thank you. May I add that a re-ordering of government’s spending priorities needs to be undertaken. You have already pointed out that foreign investors are not likely to rush to invest in a country that does not boast impressive infrastructure in all fields. Hours in daily brown-outs and household water cut-offs in Syria’s major cities do not attract investors. Many billions of dollars and years of earnest effort will be needed to solve Syria’s basic infrastructural requirements. To fund such huge undertakings, and given the fact that Syria’s international creditworthiness and past borrowing record are not strong enough to allow the borrowing of huge amounts of foreign currencies the government must provide the funding primarily from its own resources (assuming GCC donors will ignore helping in a major way). Specifically, military spending should be reduced and investment in irrigation projects stopped. Syria’s military cannot solve the country’s confrontation with Israel. Billions of dollars should be diverted annually to desperately needed infrastructural investments. In time, better educated and healthier population will supply better soldiers. An arid/ semi arid Syria cannot achieve food self-sufficiency. It’ll be more beneficial to invest in low water using manufacturing industries to generate foreign currencies from exports (or save foreign currencies spent on industrial imports) in order to import high water using foodstuffs. Agricultural investment should be confined to rain fed lands. In so doing, over-extraction of groundwater for irrigation, which turned the water balance in five of Syria’s seven water basins negative could also finally be stopped. Thanks for the link. It is a moving wonderful act. Where there is goodwill there is hope! You are partially correct. In Syria’s case, it was indeed the economic difficulties of that period that forced it to devalue its currency. Measured in a foreign currency like the U.S. Dollar, the country’s income/product did take a hit. My point is that in local SYP terms, you would not have seen the same dip in incomes/production. Since that episode, Syria’s economic leadership (led by the Central Bank) has adopted a stable and strong currency as a focal point of its economic management. While this has kept inflation in check it has meant that exporters have become decidedly more uncompetitive while the government’s ability to finance its spending (paying salaries) with a strong currency has added to the budgetary stress. In contrast to Syria, industrial countries are now caught in a race to the bottom when it comes to their own currencies as each tries to devalue and get a competitive foothold in the global cross border trading system. I believe that Syrian officials doubt the merits of devaluing the currency to boost exports as it may take a very large weakening of the currency to make Syrian exports competitive in world and regional markets. There is little doubt though that it would help the government fund its vast public sector spending. You are correct on both. I doubt military spending will go down much anytime soon. Your point on irrigation projects is spot on. As I have learnt from your writings, Syria has made big mistakes in this field. 50 billion in 5 years? Are you kidding me? I don’t see how Syria can attract such investments given the Baath party slogans governing every aspect of life in Syria. Emergency laws are still in place. Socialism and bureaucracy are still dominating the economy. Laws and arrests are arbitrary. No wonder billionaires like Naguib Swaires swore that they would never do business in Syria anymore after the awful experience they had. Syria needs a new constitution liberalizing the economy and adding more freedoms for the people to operate without the interference of the security apparatus or corrupt politicians. Egypt removed all articles that relate to socialism from its constitution and was able to attract a lot of FDI in the last recent years. What crazy foreign investor is going to invest in a country where if he is to criticize a public policy he is at risk of losing his business? What crazy investor is going to invest in a place where major bids are most likely to go to officials and relatives close to the regime? Only when statements such as mine become acceptable to be said publicly in Syria without the threat of physical retaliation or accusation of weakening national morale would we be able to attract such foreign investments. Let’s get real here. Lebanon has much more water problems and in Beirut there are around 4-6 hours cut of electricity a day. This does not seem to prevent foreign investments there, unfortunately all lebanon invetments are in real estate, nothing else, because they are less risky in case of a war than industrial investments. In my view in Syria, the lack of investments is due to the heavy bureaucracy, the corruption and the bad climate created by the US and the media about Syria’s instability. You have already explained why investors ignore problematic infrastructure in water and electricity in Lebanon and identified the shortcomings of Lebanese development: “unfortunately all lebanon invetments are in real estate, nothing else”. Due to their differences in natural endowments and population size, Syria’s developmental needs are more encompassing than Lebanon. Syria needs serious industrial development. Electricity is the first building block in industrial development. Industrialists expect, among other requirements (well articulated in the above 22 comments) a market with a high quality infrastructure. Syria will be competing with rather advanced host countries in the region to win investors over. Such a figure is enormous, equivalent to Syria’s GDP, or as EHSANI2 pointed out: “(this is like the US having to attract $13 trillion in 5 years). The bulk of this huge amount will have to be underwritten by the Syrian government from its own resources; notwithstanding that a number of possible regional and international development funds might take part here and there. How might Syria fund the bulk of $50 billion over 10 years? I said in 18 above: military spending should be reduced and investment in irrigation projects stopped. EHSANI2: You are correct in saying: “I doubt military spending will go down much anytime soon”. I agree with you. Why? Because Syria’s non-participatory type of governance at the very top would make it impossible to argue the case for a re-ordering in government’s spending priorities, despite the fact that Syria’s military is of little weight in the regional balance of power and should, therefore, waste less of the scarce resources of a poor country. Why raise the issue? To lift the curtain surrounding the sacredness, invented sacredness that is, in the national discourse of an institution that it has been the main culprit in impoverishing Syria since the early 1960s. Without a fundamental re-allocation of Syria’s scarce resources, I am afraid that all ministerial planning, posturing, and media hype would produce little tangible results–a waste of time. Joint US/syrian comic book soperhero!. On September 23, the FBI headlined, “Aafia Siddiqui Sentenced in Manhattan Federal Court to 86 Years for Attempting to Murder US Nationals in Afghanistan and Six Additional Crimes.” More on its press release below. No matter that she’s completely innocent, and has been a US political prisoner since her March 30, 2003 abduction, incarceration, torture, prosecution, and conviction on bogus charges. Her case is one of America’s most egregious examples of horrific abuse and injustice, climaxed by her virtual life sentence for an alleged crime she never committed. They sail from an illegally Turkish-occupied territory, but the irony is probably lost on them. And you. Ha aretz reported this week that a boat carrying Jewish activists from Israel, Germany, the U.S. and Britain set sail on Sunday for Gaza, hoping to breach Israel’s blockade there and deliver aid. 9 Jews will participate in this brave mission: amongst them is Rami Elhanan, an Israeli peace activist whose daughter Smadar was killed in a suicide bombing in 1997. Elhanan rightly maintained that it was his moral duty to act in support of the Palestinians in Gaza because reconciliation was the surest path to peace. “Those 1.5 million people in Gaza are victims exactly as I am,” he said. I suggest to Jews — and humanist Jews in particular — to once and for all, drop the ‘not in my name’ strategy : it is not going to work, and it doesn’t make any sense either. Implementing such a tactic is as racist as the Zionist project, for it affirms the Zionist racial and collective attribution to Jews. It basically says, ‘look at me, I am nice in spite of being a Jew’. This common Jewish left tactic is, unfortunately, not as forceful as Zionism for Zionism is supported by the vast majority of world Jewry institutionally and spiritually. I should be clear here : of course I wish the Jewish boat all success in accomplishing its sacred mission. I certainly go along with Shapira and Elhanan’s call. It is very impressive to see heroic Israelis opposing their criminal government. Shapira and Elhanan are the seed of a future reconciliation. It is also important to see Jews around the world standing up against Israel. However, if these Jewish activists are true humanists, they had better operate as ordinary people within the emerging solidarity movement. If these Jews are humanists, they had better accept the true meaning of universalism and stop buying into, and retaining aspects of Zionist racist philosophy and perhaps they should consider not solely operating in Jews only political cells.